Description: $35 each. 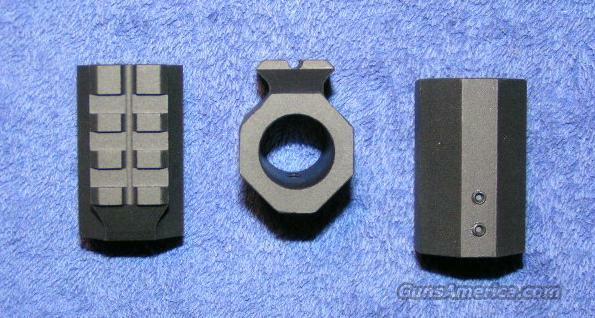 New Koelbl Gas Block with a Picatinny rail from DPMS. Now you can mount detachable front sight, laser, or flashlight, etc. Bore diameter is .750 for HBAR barrels. I accept credit cards, cash, personal checks, company checks, money orders, cashier's checks and bank checks. $3 shipping. Florida residents add 7%. Rich.